Through its newly-created social service platform–Dr. 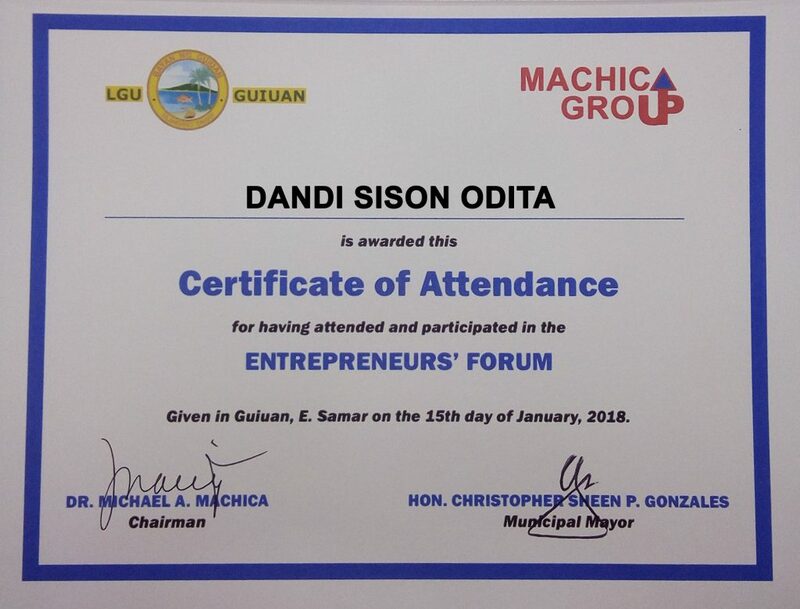 M. Advisory Clinic–Machica Group sets off its Entrepreneurs’ Forum with a bang in Guiuan, Eastern Samar on January 15, 2018. Well participated in by 52 local entrepreneurs and business owners, the forum takes place with a core objective of equipping the participants with awareness on the fundamental government rules and regulations that is applicable to any enterprise. These includes ‘Business Regulations and Local Taxes’, ‘Internal Revenue Taxes’, ‘SSS / PHIC / HDMF Regulatory Matters’, and ‘Labor Laws and Regulations’. In addition, discussions on the best practices on ‘Asset Protection, Risk Management, and Financial Planning’ conclude the forum. For the appreciation of the audience of insurance being one of the risk management tools, Charter Ping An Insurance Corporation and Pioneer Insurance and Surety Corporation have sponsored accident insurance coverage to selected participants. Mr. Philip Aranas, the Executive Assistant to the office of the mayor, partakes an inspiring opening remarks on behalf of Hon. Mayor Christopher Sheen P. Gonzales. He commended the organizers for the holding of first ever Entrepreneurs’ Summit in such a progressive municipality. 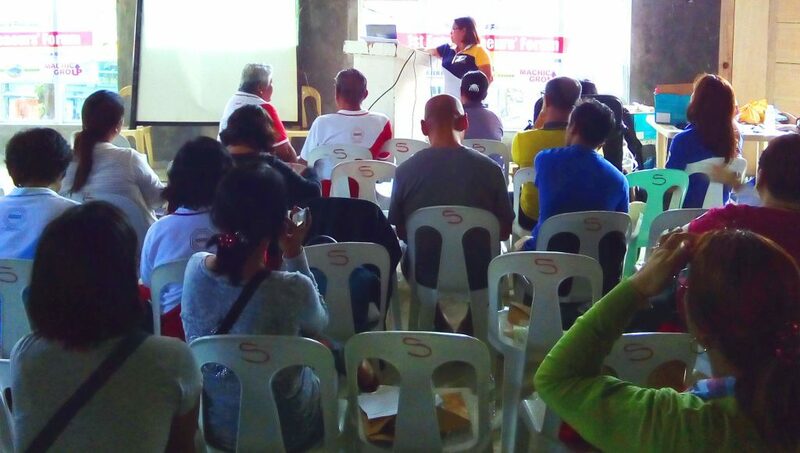 Mr. Maximo Lumactod, the Head of Business Licensing Office of the Guiuan LGU impresses the audience with the local government regulations on business taxes as well as the processes in securing and renewing business permits. The rest of the subject matters were delivered by the core officers of Machica Group to the delight of the participants. 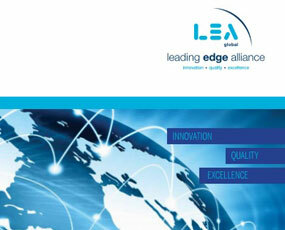 Dr. Michael A. Machica, the group’s founder / chairman, recognizes the importance of communicating the entrepreneurs’ duties and responsibilities, both as employers and as citizens, in promoting growth of local businesses and society and good corporate citizenship. 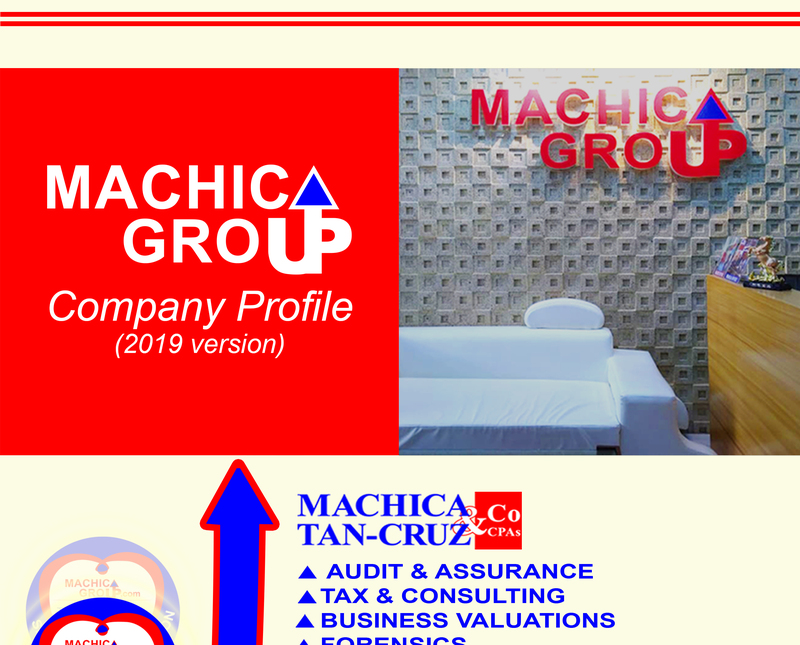 For more information or queries about future activities of Entrepreneurs’ Forum and other social services of Dr. M. Advisory Clinic and Machica Group, kindly email us at mail@machicagroup.com or message us at facebook.com/MachicaGroup.